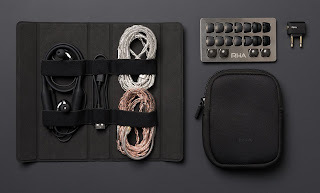 RHA is a independent audio company based in Scotland. Their mission statement is « to transform the way people interact with sound, technology and each other. » Ambitious goal perfectly embodied by their experimental line (CLx) of product started with the CL1 with its ceramic driver and now the planar CL2. RHA didn’t stop with the driver, and looked for the best housing possible for the CL2 and they chose Zirconium. ZrO2 is more than aesthetically great and durable. Ceramic has excellent acoustic properties, the inside of the CL2 is designed to carry audio waves from driver to ear without distorting it. This is not a premiere, as Sennheiser IE800 featured similar material for the same acoustic reasons and the upcoming Sony IER-Z1R will also go down that route. I have purchased and paid the full retail price for the CL2, this is not a sponsored review. It was originally published in October 2018 on headfi. The CL2 are fairly small IEMs, that require deep insertion and some tip rolling to find the best isolation and SQ. I can’t insist enough on how important this is for the CL2 to provide the best experience. Your mileage will vary, but I have found wide bore tips to be the best selection : Tennmak (grey and black), Sony hybrids, JVC spiral dots or symbio W all good candidates. My own favorites are rather unconventional EarFoam Audiophile tips from the Flares PRO as well as Ultimate Ears UE900. I found the bundled dual density have a stem smaller than bore and therefore affect the sound. Once you have found your tips of choice, you’ll be able to enjoy the best SQ, isolation and comfort. 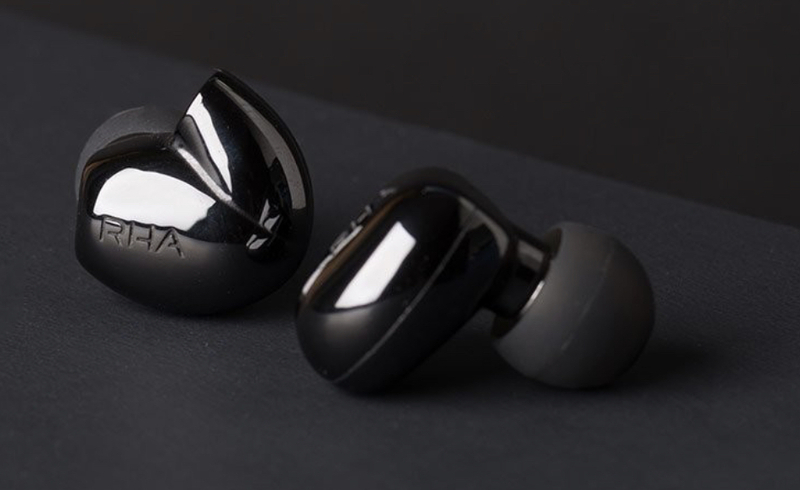 The CL2 are highly comfortable IEMs to wear for long period of times. The CL2 have a balanced signature with very natural bass, a very articulate, clear and transparent midrange and well extended but non fatiguing treble against a pitch black background. The overall presentation is very lifelike, although a slightly warmer tone would probably make for an even more natural timbre. The vocals are slightly forward, making for a highly engaging presentation. The soundstage is very wide with good depth and height, but most importantly very coherent with a precise imaging. There is something very natural reminiscent of open back headphones (despite the seal, a remarkable feeling of openness) in the CL2 soundstage. This along with a small lower treble dip and zero distorsion makes the CL2 non fatiguing. I found myself pushing the volume much more than any other IEM I have owned, even more than I would do with a full size open back. Last but not least when playing very fast and complex tracks the CL2 seems to be taunting you to throw anything you can at it. It’s very very fast across all the frequency range. The CL2’s bass are among the most natural I have heard, it’s a clean bass with good extension and no mid bass boost. Despite being extended, it’s not a hard hitting bass but rather a well rounded bass with a lot of texture and details. It’s also very fast, in fact one of the fastest bass I have heard. Attack is snappy but smooth and decay is a quick as it comes when called for, there is a lot of control there. Depending on tracks and music genres the bass can vary greatly in quantity, a testimony of the CL2’s transparency to the recording. It features an ability to provide some amazing sub bass with top notch control and zero distorsion. On the flip side, those are a minority but on some recordings it can sound anemic and lacking impact and weight. Listen to « Oi-1 » from Biosphere and the intro bass gets deep with no hint of any distorsion. Same thing can be experienced with James Blake « Limit to your love », 56 seconds into the track. Deadmau5’s « Strobe » also shows how good the CL2 can kick with fast attack and snappy recovery. In a different genre, Kat Frankle « Too Young » shows beautiful textures of the drum. The CL2’s mids are tuned with clarity in mind, with a gentle dip in the lower mids and a boost in the upper mids. This is a very clear sounding IEM, there is a lot of air between instruments and the CL2 is able to provide a lot of details with great resolution. I find myself picking the CL2 quite often when I listen to Jazz, where it's able to feature its great qualities. For instance, 30th anniversary at the pawnshop from Arne Domnérus was a sublime experience. There is just one caveat : the mids tuning on the CL2 walk a fine line. Some recordings will push the CL2 into agressive mids territory, others recording will daze you with the clarity of those mids and remain silky smooth. I almost never EQ but applying some -1/-3dB EQ in the 3-6Khz range is definitely helping. Interestingly even on harsher recordings or more revealing sources, without EQ sibilance has been avoided on all but more sensitive albums. Vocals are just forward enough to make for an engaging presentation, while not falling into intimate territory, the soundstage still features good depth and instruments are not recessed either. I just wished for a bit more lower mids for male vocals sometimes lack the gusto and power I’d like them to have. Female vocals, on the other hand, really shine. The CL2’s treble are somewhat of a mixed bag. Providing a lot of air to the CL2 signature thanks to good extension and detail, contrary to the mids, they seem to have been tuned to play it safe with a dip in the lower treble maybe removing too much sparkle. The benefit is a less fatiguing signature and no sibilance, but the CL2 could have provided more excitement there. This being said upper treble are a treat, the CL2 clearly shows its ability to handle fast transients and sparkle in the upper treble region. At 15ohm and 89dB, the CL2 is not the easiest IEM to drive but it’s still fairly easier than similarly spec’ed IEMs like the Final E5000 that despite being more efficient at 93dB is much harder to drive. I believe the CL2’s clarity greatly helps in this regard. The CL2 is a transparent IEM and with the upper mids tuning walking a fine line, source will make a big difference in how much of this can be an issue for you. When I first got the CL2, I mainly ran it with DX200 and AMP8. This was a bit disconcerting listening experience as the DX200 is quite transparent and my experience (with smooth IEMs such as VE8 and Phantom) has always been detailed but smooth. Not so much with the CL2, where it could verge on harshness at times. This is much less the case with the ZX300 and even more on the 1Z. I suspect it would be even more apparent with revealing DAPs such as SP1000 or SE100. I would therefore recommend a warmer source. The stock cable is of good apparent quality but a bit dated in its design, with very rigid earhooks (not necessary for the CL2’s weight and deep insertion) and thick cable insulation. Both the 3.5 and .25 balanced cable are fairly stiff and uncomfortable. More importantly, I found the upper mids and treble had an off timbre with the stock cable, making instruments sound metallic. Swapping the stock cable for the Hansound Zen corrected the timbre issue. Last but not least, the CL2 is provided with a bluetooth neckband that - despite not offering aptX HD - is a very good alternative for the CL2 on the go. The neckband is smartly tuned with a gentle mid bass boost (useful in noisy environment), a pleasing lower mids bump giving it a tad more body and warmth and the upper mids are slightly tuned down loosing some clarity along the way but gaining in the smoothness department. Treble are emphasized a bit to compensate for the mid bass and lower mids boost. I think it’s smart as you will probably not be in critical listening mode when on the go. 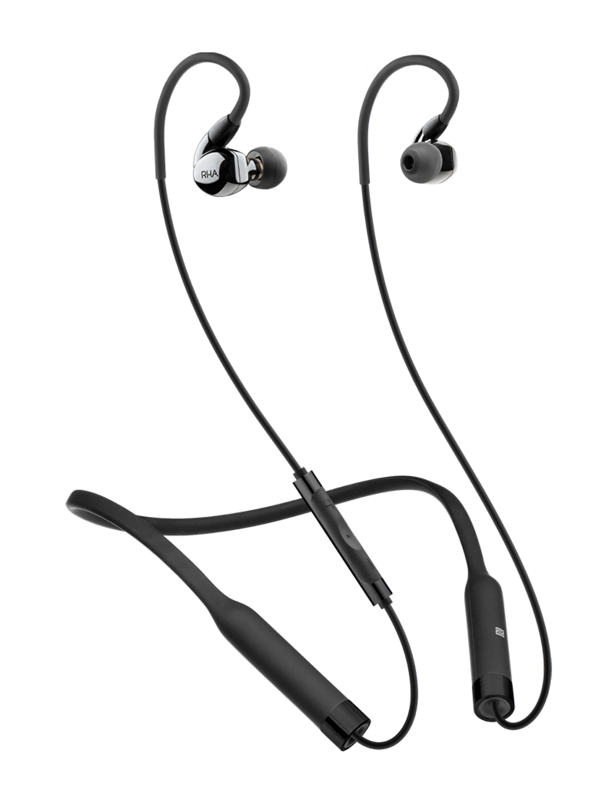 The biggest surprise comes from the driving power of the neckband, which is much better than expected as you’ll hardly need to ever cross 60-70% of max volume. Well done RHA! 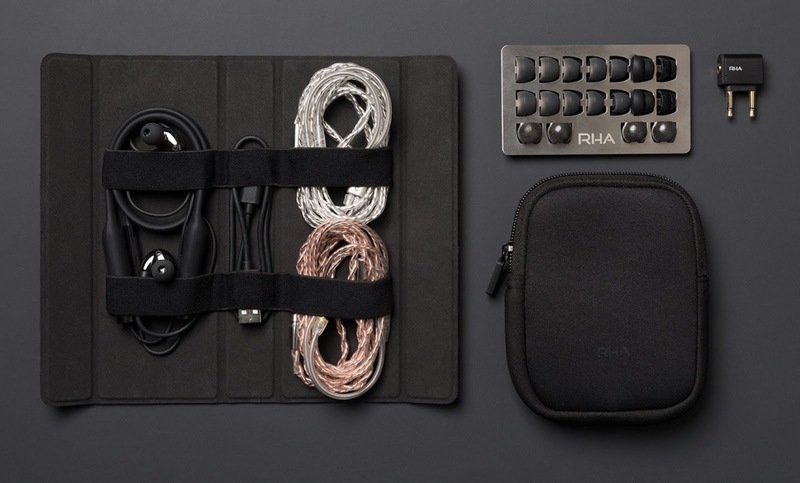 With the CL2, RHA has ventured where no one had gone before (yeah, I am a Star Trek fan), building both the smallest and the first closed back planar making it a very interesting and unique proposition for many of us. Does it live up to its promises? I think it does and fully deserves its place among the likes of AKG N5005, Sennheiser IE800S and Final FI-BA-SS. If you’re looking for a balanced natural IEM with great clarity and transparency that doesn’t compromise on bass, is very natural sounding and engaging, then you might have found just the right IEM for you. If you’re keen on treble sparkle and/or sensitive to upper mids you should make sure this won’t be a blocker for you as its lower treble are tuned conservatively while upper mids are more daring. If you use the CL2 mainly on the move with the neckband, this shouldn’t be an issue.